“Off at last! Farewell comfort, ease, good food, snug beds! Welcome hard riding, rain and cold, scanty diet and the ground for a couch!” So begins Sabine Baring-Gould’s account of his journey on horseback around Iceland in 1862. Aged twenty-eight, the young writer and teacher was fascinated by the tradition of the Icelandic sagas, and this was the catalyst for his adventure and the book that emerged from it. His voyage took him from the then tiny settlement of Reykjavik through remote and hostile terrain, passing through the empty expanse of Iceland’s countryside. He observed mountains and glaciers, volcanoes and geysers, wondering at the wild beauty of the landscape. He also recorded the rich flora and fauna that he saw–and, to his chagrin, that his companions shot. But Baring-Gould’s account is more than a travelogue. Throughout he recreates and interprets Icelandic sagas, bringing to life the extraordinary characters and events of these age-old stories. Evoking a world of trolls, witches and magic, he explores the mythology and language of Icelandic lore. He also turns a critical eye on his fellow travellers and the Icelanders he meets, passing judgment on food such as stuffed puffin, pungent fish and ptarmigan. By turns amusing and acerbic, Baring-Gould provides a detailed and colourful account of an Icelandic society that has long since disappeared. 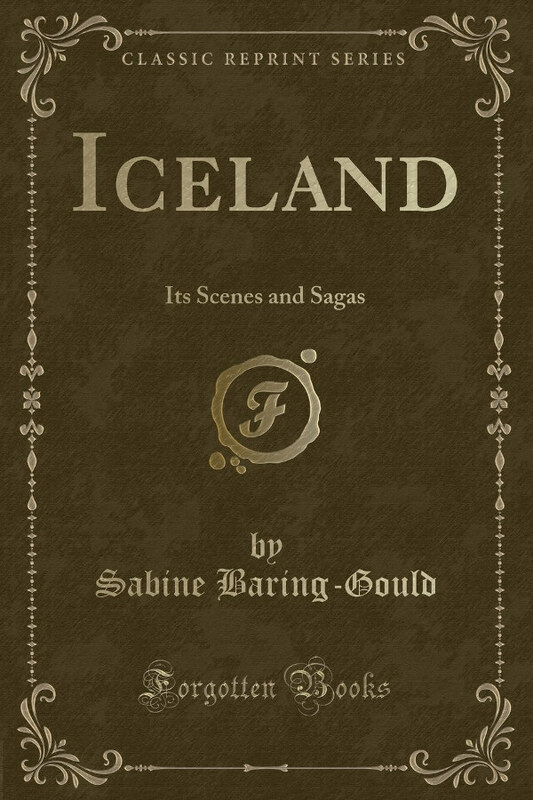 Illustrated with Baring-Gould’s own drawings, Iceland: Its Scenes and Sagas is an entertaining and eccentric insight into a world of myth and legend as well as a classic of natural and human observation.